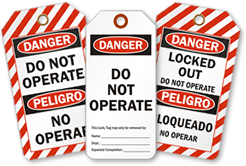 Hand symbol on this Double Sided OSHA Danger Safety Tag makes the overall message "Do Not Operate" better comprehendible. 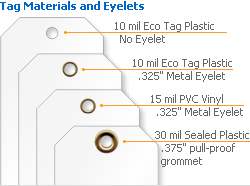 • Tags feature a pre-punched hole for attachment. • Tag's surface is receptive to pen, marker or pencil.